STO. DOMINGO, ALBAY (Sept.27) – The Local Government of Sto. 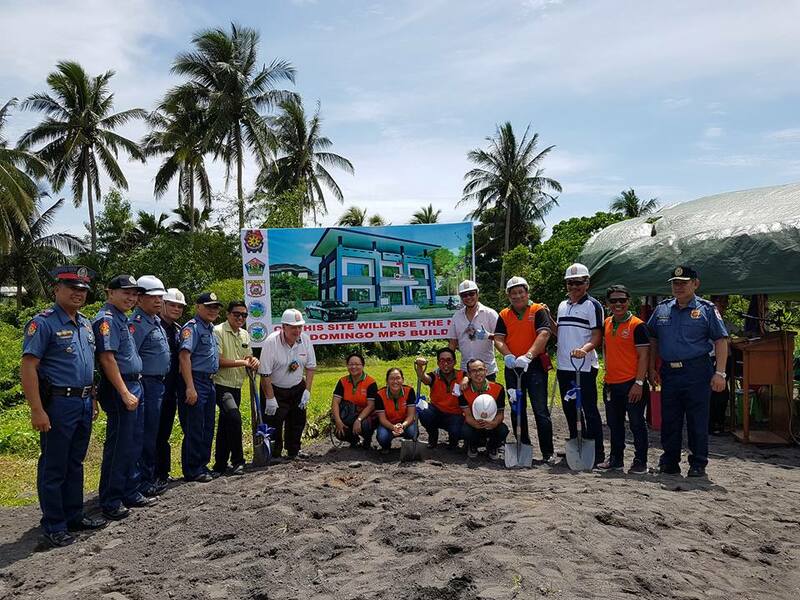 Domingo formally inaugurated its new site for the construction of Municipal Police Station on Wednesday, Sept. 27. The 4.6 Million 2-storey standard building will be constructed early next year with the lot donated by the local government of this municipality with the funding coming from PNP. In his brief statement with DZGB News, Police Supt. Engr. Delfin Perez Atun,Jr. said that the 8 by 12 ft. building, with male and female cells will rise along the National Highway of Tambangan, San Isidro near the Sto. Domingo Municipal/Catholic Cemetery. Mayor Herbie Aguas, Members of the the Sangguniang Bayan, Municipal Administrator Jun Aguas, uniformed personnel of the local PNP, BFP and BJMP and other stakeholders were present during the momentous event. Officers from the Albay Provincial Police Office led by the PNP Information Officer PCI Arthur Gomez representing PD PSUPT. Antonino Cirujales, PCI Elvide Esparrago, PSUPT Emmanuel Ramos and PSUPT Delfin Perez Atun, Jr. also graced the occasion . Marquez said that PD Cirujales is most thankful to the municipal officials headed by Mayor Aguas for the efforts to donate the site. He further said that PD Cirujales wanted to have all the municipalities in the province be constructed with the standard police station building.